If you are not now and forever a Cats person and you never saw the short-lived Sherman Brothers musical Dawgs! 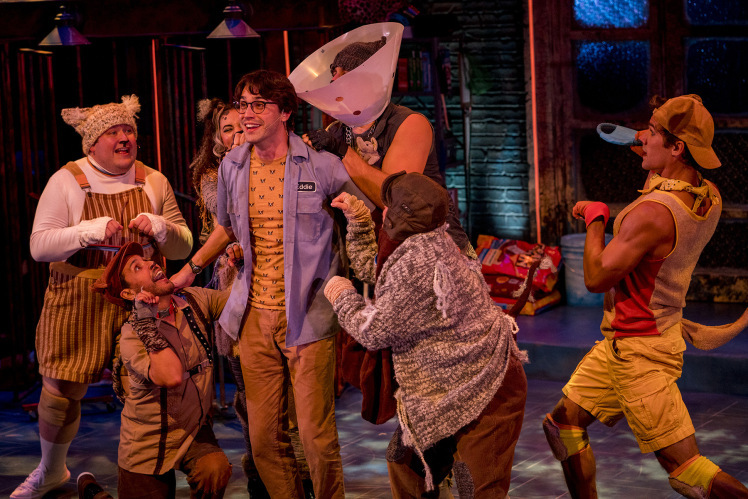 then Mutt House, a guest production at the Kirk Douglas Theatre, may be the canine centric musical you have been panting for. 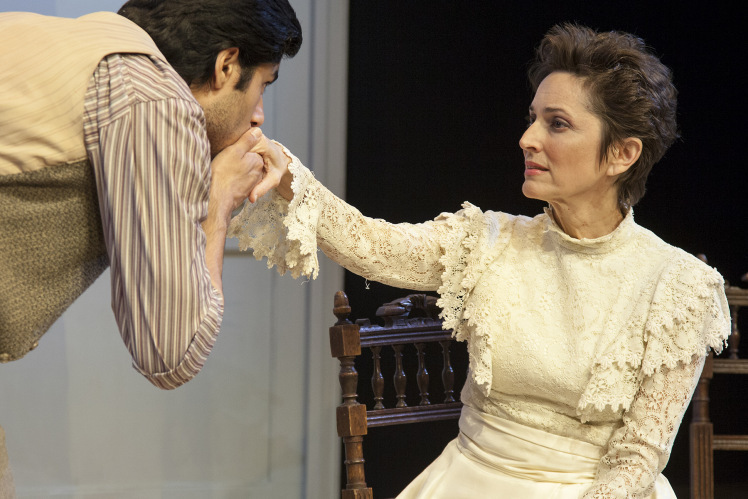 Love has a tendency to make fools out of people, and that is certainly the case in Three Days in the Country, Patrick Marber’s condensed adaptation of Ivan Turgenev’s A Month in the Country, now in its west coast premiere at Antaeus Theatre Company in Los Angeles. Three Days in the Country, Patrick Marber’s adaptation of Turgenev’s A Month in the Country, makes its West Coast premiere at Antaeus Theatre Company in Glendale. A comedy of sexual compulsion, the play should explode. The gunpowder has been poured, but due to miscasting of a vital character, the director forgot to light the fuse. According to the Director’s Note in the program for the current Antaeus Theatre Company’s production of Patrick Marber’s Three Days in the Country, his version of Turgenev’s A Month in the Country, Turgenev’s play inspired Anton Chekov to write for the theatre. 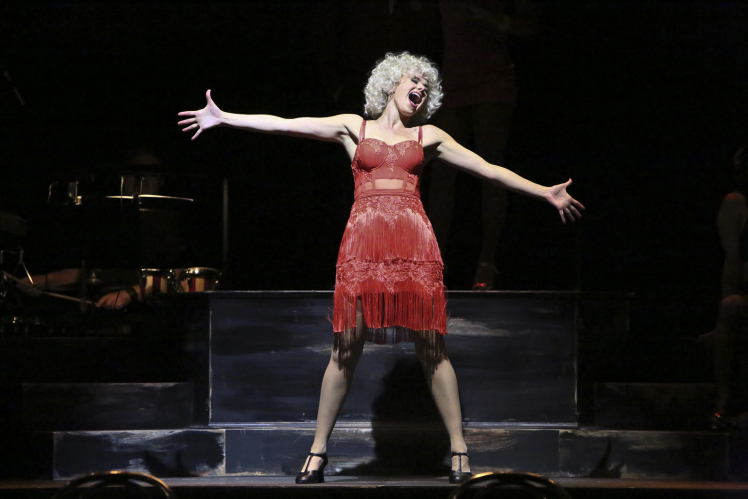 If you didn’t know any better, it would be easy to forget that Sweet Charity, now playing at UCLA, is a musical from the 1960s. The Ahmanson Theatre in the Los Angeles Music Center is a big house, usually home to touring musicals like the upcoming Dear Evan Hansen and Come From Away. 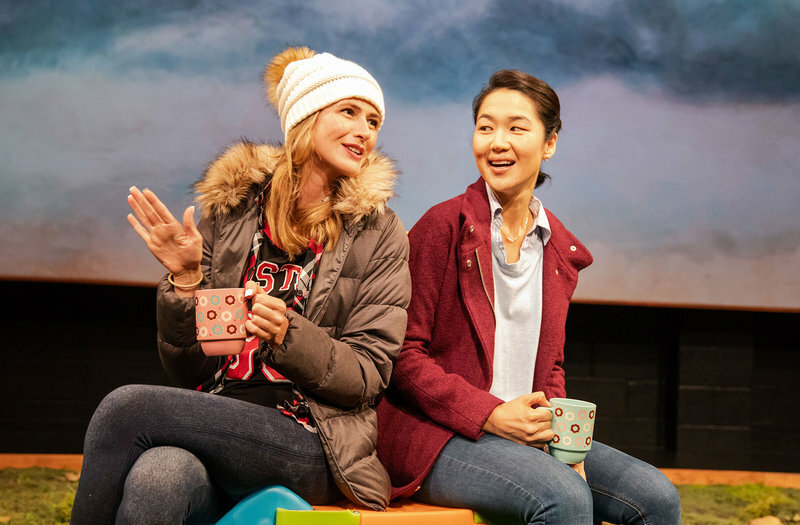 Playwright David Henry Hwang and composer Jeanine Tesori are pushing buttons and challenging conventions with their new work, Soft Power, now in its world premiere at Center Theatre Group’s Ahmanson Theatre. American musical theatre and politics would seem to make strange bedfellows. 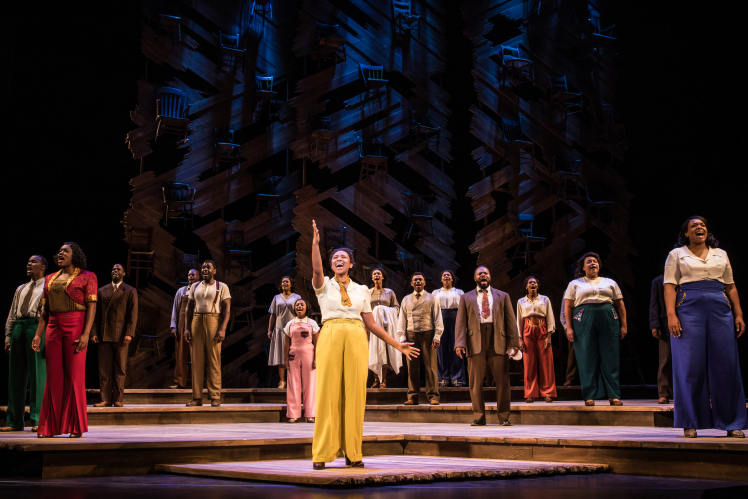 However, since Of Thee I Sing won the Pulitzer Prize for Drama in 1932. there have been many other successful and not-so-successful musicals mingling politics with song and dance. 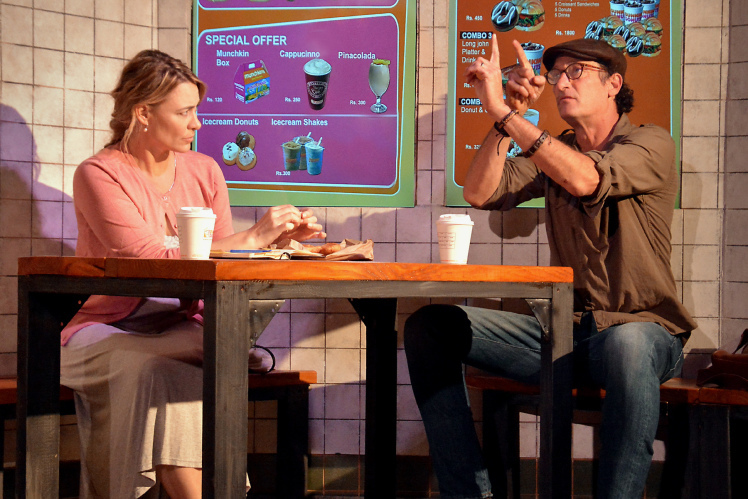 Soft Power, currently in its world premiere at Center Theatre Group’s Ahmanson Theatre, is billed as “a play with a musical.” This is a unique description fitting for a unique show, both in structure and in content. 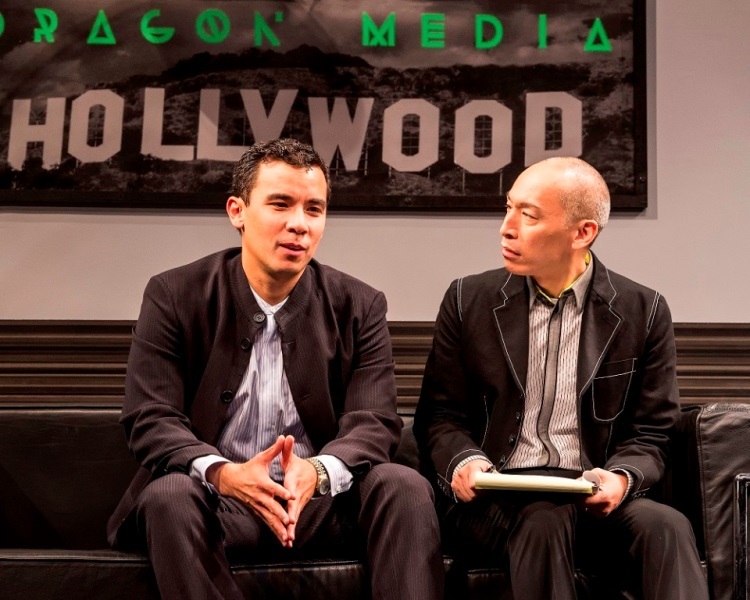 With play and lyrics by David Henry Hwang and music and additional lyrics by Jeanine Tesori, Soft Power taps into timely political subject matter—some may say too timely—and adds a refreshing twist, creating a show with a perspective rarely seen. 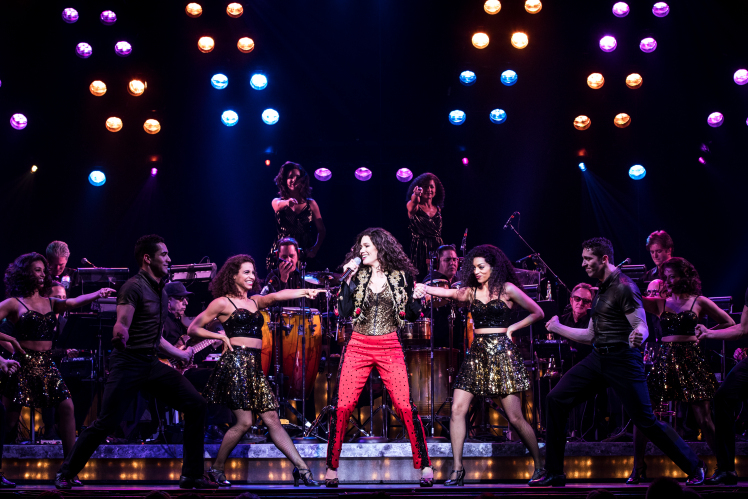 What was the last musical to feature Hillary Clinton twerking at a McDonald’s or White House cabinet members bloodthirstily carrying tommy guns? Soft Power, the new political-satire musical by two Tony winners, composer Jeanine Tesori and writer David Henry Hwang, ambushes the 2016 US election through the eyes of a foreigner. 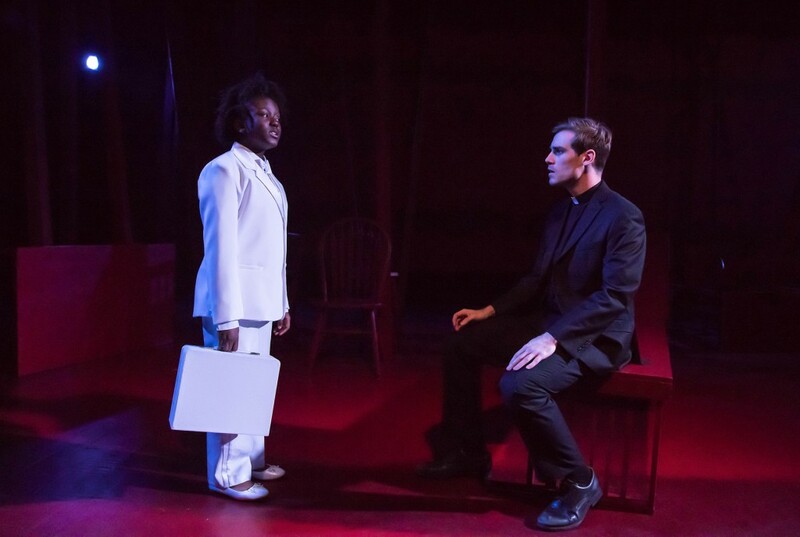 Directed by Chris Fields, Yusuf Toropov’s An Undivided Heart, co-produced by the Echo Theater Company and the Circle X Theatre Co., is an aspiring work that aims to be deep but doesn’t get there. Any play that starts with a kid standing next to a burning typewriter holding a knife in one hand and a dead cat in the other is off to a good start in the “well, I haven’t seen that before” department. 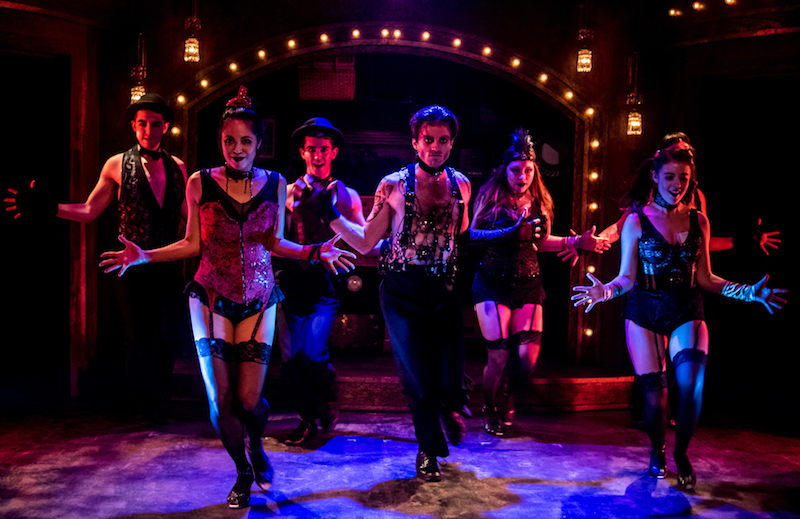 Unfortunately, such unusual visual tableaux aren’t really representative of the bulk of Yusuf Toropov’s An Undivided Heart, a Circle X Theatre Co. and Echo Theater Company co-production. Someone stands in front of you with a cat in one hand and a knife in the other, threatening to kill it. What do you say to save the cat? In An Undivided Heart, a co-production of Echo Theater Company and Circle X Theatre Company that opened this past weekend at the Atwater Village Theatre, this is but one puzzle its complicated characters must attempt to solve. After all these centuries as a literate species, and with only seven basic plots in circulation (according to the late critic Arthur Quiller-Couch), human beings have developed a sense of where stories are likely to go — expectations that prompt us to complain when we can see an ending coming (“predictable”) and when we can’t (“what?”). At what point in life must you be willing to sacrifice happiness for survival? 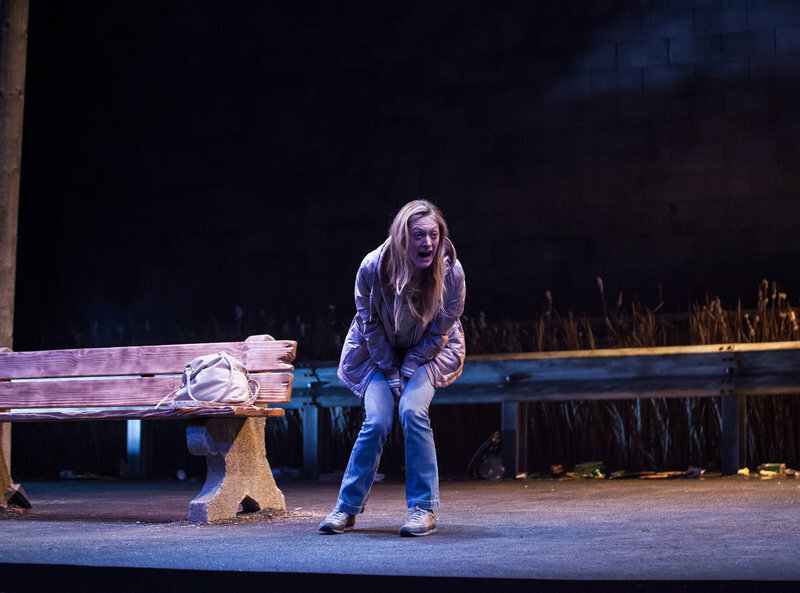 Ironbound, a play by Martyna Majok currently in its west coast premiere at the Geffen Playhouse in Los Angeles, tells the story of Darja (Marin Ireland), a Polish immigrant struggling to build a life for herself in New Jersey. In my experience, when a production is of mixed or bad quality, the acting is rarely to blame. 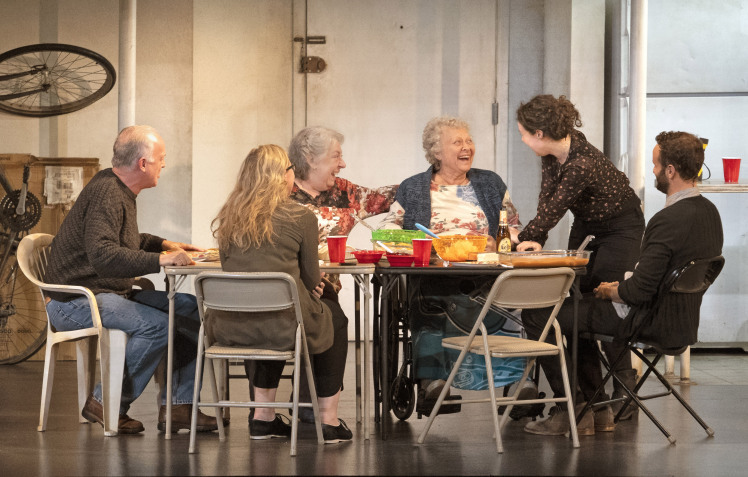 Occasionally an ill-judged performance will mar a fine piece of writing, but it is much more common to watch a talented ensemble struggle with an undercooked play. So it is with Martyna Majok’s Ironbound…. We should empathize with Darja. She’s an immigrant struggling to wrap her mouth around English, both its syntax and pronunciation. She works two jobs, when they’re available. She constantly worries about her son, who needs a stay in rehab that she can’t afford, even if she could find him these days. Indeed, she can’t find any good man who will stay around and treasure her. In American theater, as in life, not all voices receive equal airtime — one reason why Martyna Majok’s pitch-black dramedy about a Polish-born factory worker-slash-cleaning lady is so poignant and arresting. Darja, the lonely, unfulfilled antihero of Ironbound, at the Geffen Playhouse, grants actor Marin Ireland a showcase for her vast talents. In lesser hands, Darja, a woman who seems to live only to survive, is a character that could turn off audiences, but Ireland finds Darja’s unsinkable core and hooks us along with it.